Sometimes we don’t realize and then don’t remember whom we’ve given access to our Google account in order to set up an account from another vendor. It’s always a good idea to go to https://myaccount.google.com/permissions while you’re logged in to your Google account and review who has access to your private information. If you use an Android based phone be careful not to remove access to important apps and make sure you do for the questionable ones. Not sure about an app? Google it and see. Here is the latest tactic in the cat-and-mouse game between cybercrime and security software vendors. The bad guys have come up with new a ransomware phishing attack, tricking users to open what appears to be a document scanned from an internal Konica Minolta C224e. This model is one of the most popular business scanner/printers in the world. The emails are written to make the user think that the communication is from a vendor. Basically, Locky is back with a vengeance and a whole new bag of evil tricks. The campaign launched Sept. 18 features a sophisticated new wrinkle, enabling it to slip past many of the machine learning algorithm-based software sold by some of the industry’s most popular vendors, said security firm Comodo. 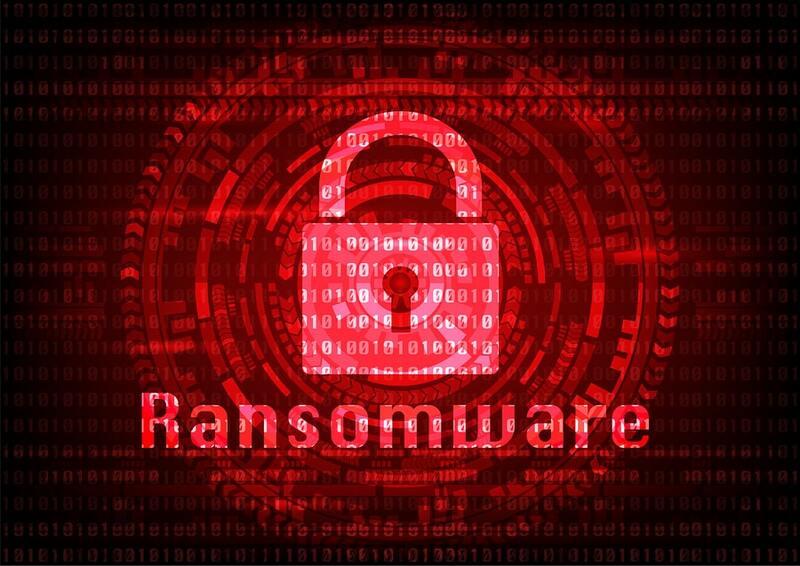 The third in an increasingly sophisticated series of ransomware attacks launched this summer is dubbed IKARUS by Comodo, some other security vendors are calling it Locky Diablo6. As in previous attacks, the Eastern European Locky cyber mafia is using a botnet of zombie computers which makes it hard to simply block by IP. “Employees today scan original documents at the company scanner/printer and email them to themselves and others as a standard practice, so this malware-laden email looks quite innocent but is anything but harmless,” the report continues. The most innovative hook of this new feature involves the way these criminal hackers manage to evade spam filters. In other words, it looks like that again the bad guys are ahead of your spam filters, whether that is a traditional or new machine-learning flavor. Now, the Locky payload still ultimately uses an executable file written to disk, so your endpoint security may be able to block it. There are other types of attacks that take advantage of machine learning blind spots (fileless attacks, for example), but this isn’t one of them. What the bad guys behind Locky count on is cranking out so many new variants that antivirus (even some machine learning ones) won’t recognize and block it. How vulnerable is your network against a ransomware attack? Bad guys are constantly coming out with new strains to evade detection. Is your network effective in blocking all of them when employees fall for social engineering attacks? KnowBe4’s “RanSim” gives you a quick look at the effectiveness of your existing network protection. RanSim will simulate 10 infection scenarios and show you if a workstation is vulnerable to infection. You already know that a whopping 143 million Equifax records were compromised. The difference with this one is that a big-three credit bureau like Equifax tracks so much personal and sometimes confidential information like social security numbers, full names, addresses, birth dates, and even drivers licenses and credit card numbers for some. It can be the difference between being able to buy a house or sometimes even get a job or not. This breach and the way they handled it, including the announcement, was what Brian Krebs rightfully called a dumpster fire. The problem is that with this much personal information in the hands of the bad guys, highly targeted spear phishing attacks can be expected, and a variety of other related crime like full-on identity theft on a much larger scale. These records are first going to be sold on the dark web to organized crime for premium prices, for immediate exploitation, sometimes by local gangs on the street. Shame on Equifax for this epic fail. They will be sued for billions of dollars for this web-app vulnerability. So this Scam of the Week covers what is inevitable in the near future, we have not seen actual Equifax phishing attacks at this point yet, but you can expect them in the coming days and weeks because the bad guys are going to take their most efficient way to leverage this data… email. We take a 20,000 word deep-dive on Android’s “foundational” upgrades. Android 8.0 Oreo is here! Click through for a gallery of top features. 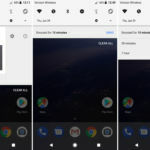 Project Treble finally separates the OS from the hardware, which has big implications for updates, third-party ROMs, and security. Media notifications automatically get colored based on the album art. Pull a notification to the side slightly, and you can snooze it. 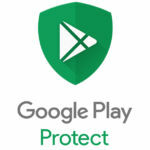 Google Play Protect isn’t really new, but it gives reassuring branding to Android’s security features. Settings has a new color scheme, new icons, and has been totally rearranged. A new Autofill framework can automatically fill in forms for you, and gives password managers a supported API for Android. 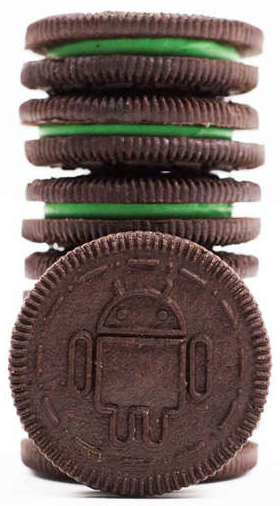 Nabisco produced a limited run of Android-themed Oreos for the launch event. Take a closer look at Oreo and you really can see the focus on fundamentals. Google is revamping the notification system with a new layout, new controls, and a new color scheme. It’s taking responsibility for Android security with a Google-branded security solution. App background processing has been reined in, hopefully providing better battery life and more consistent performance. There’s even been some work done on Android’s perpetual update problem, with Project Treble allowing for easier update development and streaming updates allowing for easier installation by users. 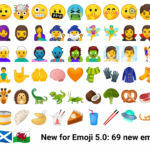 And, as with every release, more parts of Android get more modularized, with emojis and GPU driver updates now available without an OS update.Like its partnership with Nestle for Android 4.4 “KitKat,” Google is taking its alphabetical snack-themed codenames to the extreme with 8.0, and partnering with an actual snack company. This time Nabisco is sharing the “Oreo” brand with Google (We’ve yet to hear about any kind of monetary arrangement for this sort of thing). Google’s Eclipse-themed launch party was complete with custom Oreo cookies featuring an Android robot design and green filling. Two billion users is a huge number, but with Android 8.0, Google shows that it still isn’t satisfied. A new initiative called “Android Go” targets the developing world, where cheap devices and limited access to data and power require taking a different look at how some parts of Android function. 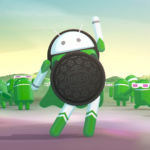 Oreo will also serve as the base for three new Android form factors. It will be built into cars as “Android Automotive,” where Google works with car OEMs to integrate Android. Android 8.0 will also be the base OS for “Android Things,” an “Internet of things” (IoT) version of the OS designed to easily manage on embedded devices. Finally, Google’s virtual reality “Daydream” group will also launch a new form factor with Oreo—standalone VR headsets. 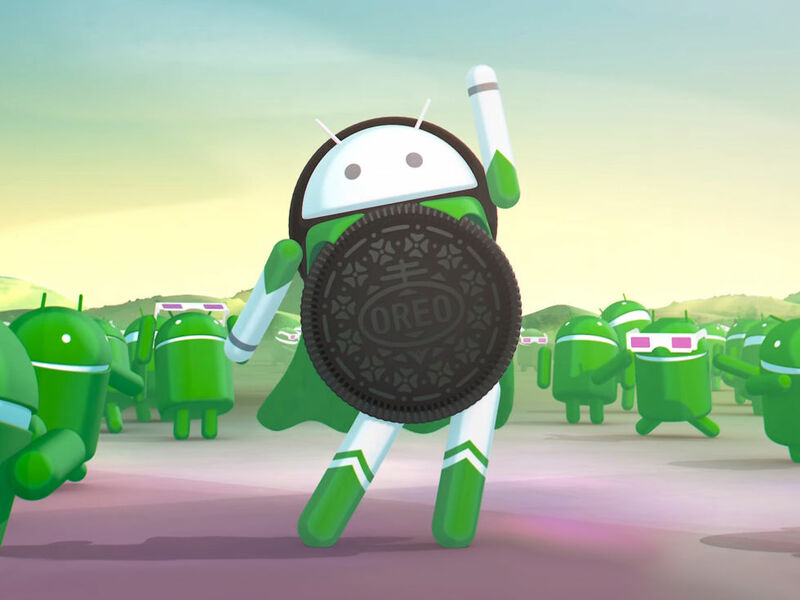 So, coming soon to your phone, your tablet, your watch, your TV, your car, your “things,” and your VR headset—it’s Android 8.0 Oreo. Let’s dive in. Treble separates the vendor code from the rest of the operating system. The Vendor Interface is analogous to the Developer API. 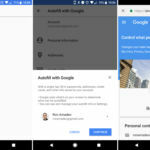 The Developer API gives Google and developers an agreed-upon standard to support, while the Vendor Interface gives Google and hardware makers an agreed-upon standard to support. Just as you can change the OS and have apps still work, you should be able to change the hardware implementation and have the OS still work. Google’s description of the Android update process. Treble will let steps 1 and 2 happen at the same time. While Android’s scale is impressive, the vast majority of Android users won’t get to use new versions of the OS quickly—or at all. 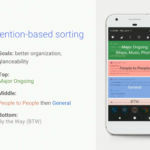 Google’s own Pixel phones get updates immediately, third-party flagships get the update in six months to a year, and everyone else gets the update when they throw out their existing handset and buy a new one. Android’s biggest problem is easily the ecosystem’s inability to ship updates quickly and efficiently to every device. Google’s past “solutions” to the Android update problem have involved little action and lots of talk. In 2011, it asked OEMs to do better and announced the “Android Update Alliance“—a group of Android OEMs that totally-pinky-sweared to ship updates quicker. After the big announcement, exactly nothing changed; the group was never mentioned again. In 2016 Google reportedly ranked OEMs by update speed and showed the list around the ecosystem in an attempt to “shame” OEMs into doing a better job. Little happened. Asking OEMs nicely has not improved things, so in Android Oreo, Google is finally implementing a technical change to Android that should help with updates. The effort—called “Project Treble”—modularizes the Android OS away from the drivers and other hardware-specific code. As Android’s Head of Engineering, Dave Burke, put it in his interview with Ars, “Today, it just costs too much to do an upgrade of Android. The amount of work and dependencies are too high.” The goal with Treble is to make it easier, faster, and—most importantly for OEMs—cheaper to pump out an Android update. Once Google releases an Android update, getting it running on a specific device usually involves three major steps. First, SoC vendors like Qualcomm or Samsung’s Exynos division take the update and modify the release for that specific piece of hardware. 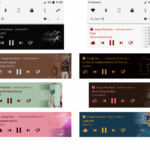 Then OEMs like Samsung and LG theme the OS, rebranding Android with new icons, colors, and layouts, often changing core parts of the OS to add extra features and functionality. Finally, carriers test the new release, certify it for their networks, and send it out to users. (If you buy an unlocked device, you can skip the “carrier” step and get your update directly from the OEM.) Each step creates not only a delay, but also the opportunity for a company to end update support, leaving users with an abandoned piece of hardware. Project Treble will help with that first step: relying on SoC vendors to get the release running on specific SoC hardware. 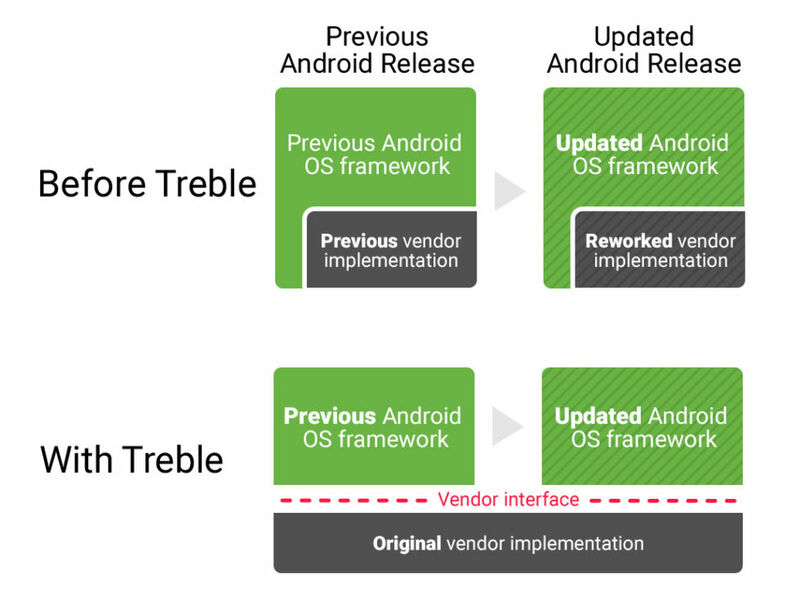 Project Treble introduces a “Vendor Interface”—a standardized interface that sits between the OS and the hardware. 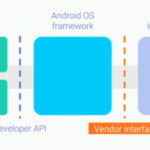 As long as the SoC vendor plugs into the Vendor Interface and the OS plugs into the Vendor Interface, an upgrade to a new version of Android should “just work.” OEMs and carriers will still need to be involved in customizing the OS the rolling it out to users, but now the parties involved in an update can “parallelize” the work needed to get an update running—SoC code is no longer the “first” step that everyone else needs to wait on. 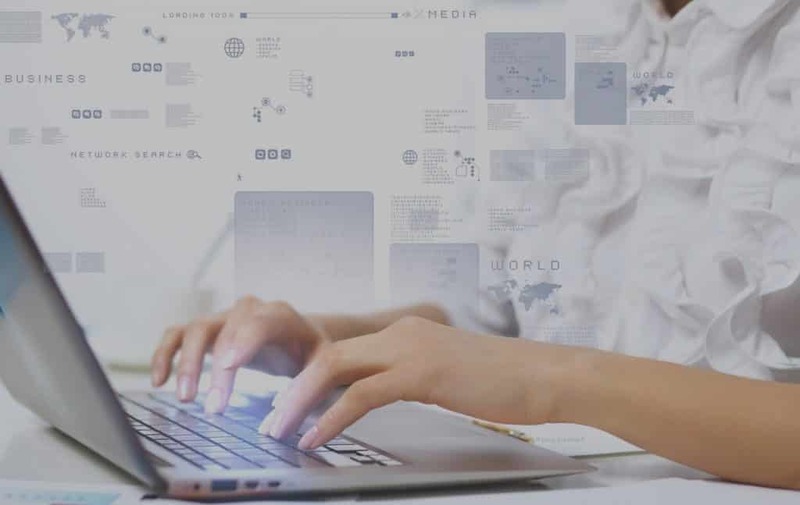 Google has a new set of tests, called the Vendor Test Suite (VTS), which ensures the Vendor Interface on a device is properly implemented and future proof. This is a hardware-focused analog to the Compatibility Test Suite (CTS), which ensures the Android app APIs are properly implemented on a device. Treble isn’t just a single interface. HALs are broken down into “major subsystems” like the camera, audio, location, Wi-Fi, telephony, and other components. Malchev revealed there are “about 60” of these HALs in Oreo, with more to come in future releases. 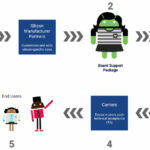 To allow for each subsystem to grow and evolve over time, each one gets a major and minor version number, and each release of Android will support a range of versions for each subsystem. For device types Google doesn’t officially support, there’s a “Vendor NDK” that allows vendors to make their own custom modular HALs. The versioned subsystems mean that future device support will be partially dependant on Google and what subsystem versions it chooses to support or deprecate with each Android release. If your phone SoC only supports “Camera HAL version 1.3” and “Android 9.0” requires Camera HAL v1.4 and up, you’ll need to have your camera HAL upgraded before Android 9.0 will fully work on your device. Malchev said that getting SoC vendors on board with Project Treble “took as much time as the engineering work” The work started in late 2015, and today, as part of Treble, Google has a dedicated SoC vendor outreach team. Malchev said that Google now has “teams in Taiwan, Seoul, San Diego dedicated to working with our major partners, with the silicon vendors in their own time zone and in their own back yard.” Malchev did not specify which silicon vendors Google had embedded teams with, but a quick comparison of SoC company headquarters against that list suggests that Google is in Taiwan for MediaTek, Seoul for Samsung, San Diego for Qualcomm. Enlarge / Android 8.0 with Project Treble cleanly splits the partitions up by company. Typically Google is the Android platform vendor, Qualcomm is the SoC Vendor, and a company like Samsung is the OEM/ODM. While Treble is focused on official Android OEMs and making their lives easier when it comes to updates, as a side effect, Project Treble should be revolutionary for aftermarket Android ROM projects like Lineage OS (formerly CyanogenMod) and individual developers on places like the XDA Developers Forum. These groups take code from Google’s open source Android repository and make Android-based OSes themselves, usually offering upgrades to abandoned devices or conversions from skinned Android to a more stock look. In the past, the bane of third-party ROM developers has been that AOSP has never been a complete, bootable software package for real life hardware. You’ve never been able to compile AOSP, slap it on a device, and have it work—you need all sorts of “binary blobs” from chip vendors to make things work. Usually, the ROM developers end up compiling AOSP and combining it with the official software, resulting in a janky mix of new AOSP code and old proprietary bits. Because Android never had a standardized interface between the hardware and software, updates would break all sorts of things, leading to issues with the camera, networking, and other components, or general performance problems. Treble promises to change everything. Malchev says that Treble standardizes Android hardware support to such a degree that generic Android builds compiled from AOSP can boot and run on every Treble device. In fact, these “raw AOSP” builds are what will be used for some of the CTS testing Google requires all Android OEMs to pass in order to license the Google apps—it’s not just that they should work, they are required to work. Treble’s modularity is enforced in Android’s partition layout too. AOSP code lives in the “System,” “Recovery,” and “Boot” partitions. The SoC vendor (usually Qualcomm) gets the “Vendor” and “Radio” partitions. 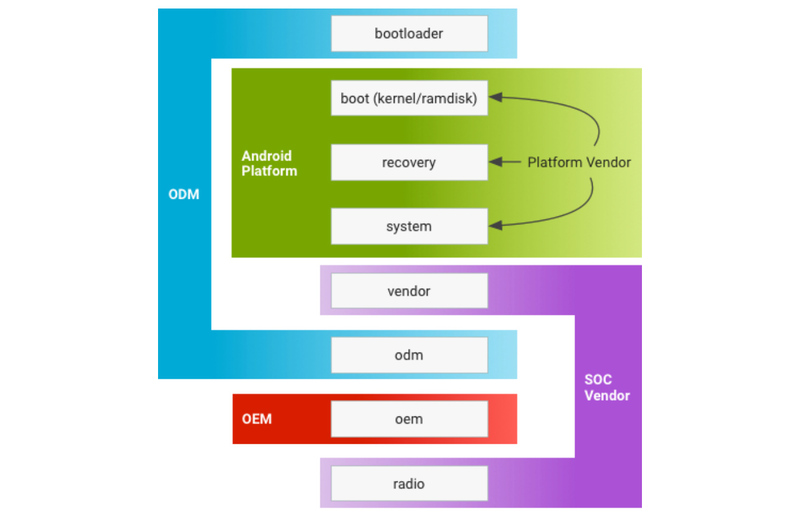 The ODM/OEM (Samsung, LG, HTC, etc) gets the “Bootloader,” “ODM,” and “OEM” partitions for their code. These partitions have all existed before as options, but now things like a dedicated Vendor partition are mandatory for 8.0. Google’s documentationspells out the implications of this, saying “it ​should ​be ​possible ​to upgrade ​a ​device system.img ​from ​Android ​8.0 ​to ​Android ​P ​while ​other ​images ​(such ​as vendor.img, odm.img, ​etc.) ​remain ​at ​Android ​8.0. ​This ​modularity ​enables ​timely Android ​platform ​upgrades ​(such ​as monthly ​security ​updates) ​without ​requiring ​SoC/ODM partners ​to ​update ​SoC- ​and ​device-specific ​code.” It the ROM world, it means you should be able to flash a new system partition built from AOSP, while leaving everything else alone, and have a working system. We’ll have to see how things exactly work in practice, but I’m expecting the ROM community to explode in popularity once Treble devices become more widespread. Custom ROMs shouldn’t need to be painstakingly hand-crafted for individual devices anymore—a single build should be able to cover multiple Treble devices from multiple manufacturers. 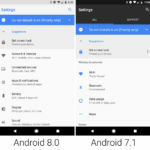 Imagine the next time a major new version of Android is released—on Day One of the AOSP code drop, a single build (or a small handful of builds) could cover every Treble device with an unlocked bootloader, with a “download Android 9.0 here” link on XDA or some other technical website. Users should also have more control over their devices, like being able to buy a skinned Android phone and immediately apply a fully-functional AOSP build, stripping away bloat and most of the annoying “customizations” that OEMs make. You can sort of do this today, but, again, the lack of a standard interface and needing to include binary blobs from the SoC vendor makes this a very iffy proposition. The standardization of Treble should ensure that everything will work. Being able to compile AOSP, slap it on a device, and have it work will be a boon to home tinkerers, and on the official retail build side of things, could help to prolong the life of Android devices. If security is your goal, though, there’s still a need for involvement for the SoC vendors. There will inevitably be bugs and security flaws in the vendor code, and since that code doesn’t live in AOSP, vendor support will be required to fix those. All of this ROM stuff depends on buying a phone with an unlocked bootloader, which lets users tinker with the software. Usually this just means buying an “unlocked” phone directly from an OEM, rather than a carrier. Enlarge / For camera, audio, and DRM, HALs now separate the “Stagefright” media framework from the kernel. Another benefit of Project Treble: security! The separation of vendor code from the OS means the vendor code can run in a separate process. This also helps harden the media stack in Oreo. The media framework is a particularly important area after 2015’s “Stagefright” vulnerability, which exploited Android’s media player engine (which is actually called “Stagefright”) to remotely execute code. On a Treble-enabled phone, the audio, camera, and DRM parts of the media stack have also been isolated in separate processes and sandboxes. Each part gets a new hardware abstraction layer (HAL) between the framework and kernel, too, so it should now be harder for a framework exploit in these areas to access the kernel. Project Treble will make Android work more like the PC market, where a single version of an OS can run on multiple devices. It’s been obvious that Android needed to make a change like this for some time, but Treble was a massive project and counts for a lot of what makes Android 8.0 a full “1.0” update. RON AMADEORon is the Reviews Editor at Ars Technica, where he specializes in Android OS and Google products. He is always on the hunt for a new gadget and loves to rip things apart to see how they work.